The Man of Steel Teaser Trailers are Here! 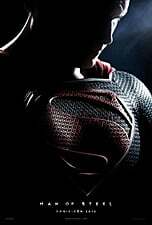 Warner Bros. Pictures has released the two versions of the teaser trailer for director Zack Snyder’s Man of Steel which you can watch below! Henry Cavill plays Superman in the June 14, 2013 release. The film also stars Amy Adams as Daily Planet journalist Lois Lane, and Laurence Fishburne as her editor-in-chief, Perry White. Starring as Clark Kent’s adoptive parents, Martha and Jonathan Kent, are Diane Lane and Kevin Costner. The Dark Knight Rises director Christopher Nolan is producing the film.